Two brothers-in-laws, Alex Ratner and Jacob Harmatz, opened Ratner’s Dairy Delicatessen in the Lower East Side of New York City in 1905. Legend has it that they flipped a coin to decide whose name would be on the sign. In 1914, Alex Ratner and his wife, Anne, purchased 45 acres of land in Sun Valley, in the San Fernando Valley. They came to the Valley because of Alex Ratner’s weak lungs, requiring the clean, hot, and dry air of Southern California. Ratner opened a small general merchandise store that also served as the town’s Post Office. The Ratners traveled weekly to Temple Street in Los Angeles to purchase kosher meat and other household supplies, and to attend Shabbat Services. In 1915, Alex Ratner installed the first gas pump at Sunland Boulevard and San Fernando Road. In 1916, an uncle, Jack Harnitz, moved from New York to Sun Valley and worked in the store. A year later, Harnitz returned to New York and Louis Forsch, Anne Ratner’s brother, joined the family in California. Alex Ratner and Louis Forsch entered into a partnership that lasted for many years, until Ratner’s retirement in 1934. By then, their store sold groceries, hardware, gas, hay, and grain. After Alex Ratner’s retirement, Louis Forsch opened the Roscoe Hardware Co. In 1925, Alex Ratner and Louis Forsch became charter members of the Roscoe Chamber of Commerce. In 1921, the Ratners were recognized by the city with the naming of Ratner Street near San Fernando Road and Sunland Boulevard. The Ratners attended services at the Olive Street Shul (Kahal Israel), traveling from the Northeast part of the San Fernando, south, over the Cahuenga Pass into the City of Los Angeles. In 1928, the Ratners and Forsches were joined by a few other Jewish families in an attempt to build a synagogue. The economic downturn of the Great Depression curtailed this effort. 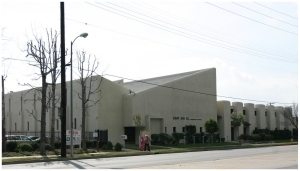 In 1938, the Ratner family helped found the Valley Jewish Community Center, the San Fernando Valley’s first synagogue. In 1942, the Ratner and Forsch families donated a sefer Torah (Torah scroll)to the Valley Jewish Community Center in memory of Alex Ratner. Around 1944, the community center became Congregation Adat Ari El. The Sun Valley Jewish Community Center, which was built on land donated by the Ratner and Forsch families, is now the synagogue, Valley Beth Israel. The sanctuary is named for the Ratner family. The charitable organization AMIT Women has an Anne Ratner Valley Chapter in Studio City. The Ratners had three children: Maurice, Ida, and Rose. Alex and Anne Ratner’s children grew up in Sun Valley. Maurice Ratner studied at the University of Southern California and became a pharmacist. He owned and managed Ratners’ Drugs from 1929 to 1945. In 1983, Maurice Ratner was named the Honorary Mayor of Sun Valley. 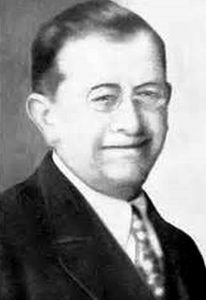 Alex Ratner died in 1935. 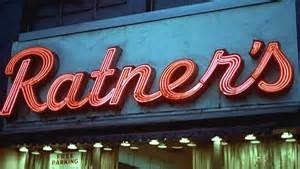 Ratner’s Deli in New York City closed in 2002. William M. Kramer, “The Ratners of Sun Valley,” Western States Jewish History 42/2&3. Warren Miller, “The San Fernando Valley and its Early Pioneers,” Western States Jewish History 45/4. Samantha Silver is curator of this Alex Ratner exhibit.